HelloRouteSP – Part 1: Why waste paper? First of all I want to say “Welcome!” to my blog and to it’s first post. In this first blog post, I am aiming for your attention and especially if you are in the networking industry. As most people in the networking business will agree with me, whenever a networking guy is starting to troubleshoot a problem in the network, he is instantly trying to write down a diagram of the network. This is an essential part of beeing a networking guy and I myselft have wasted tons of paper just for writing diagrams of networks and I will probably continue to do so until the end of time. And I have searched the net for something that can get a pernament place in my laptop or usb stick and help me anytime I want without any extensive configuration. This search have come up with a result that there are tools that can help, bu they are either commercial tools way out of my budget, or mostly SNMP network management software thet requires extensive configuration process to make it operate and overall these both open source and commercial produces are more oriented for monitoring one network for a long time. For my purposes, I wanted to find a tool that will be portable, lightweight and do most of the diagram creation process instantly. 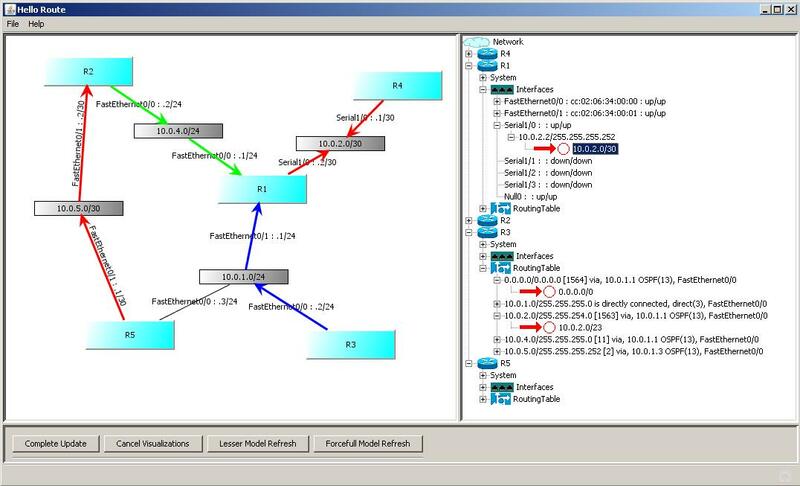 Therefore I have decided that for my bachelors project I can create a software that will help with this process of making network diagrams by visualization of TCP/IP by SNMP retrieved information. This small piece of software is written in java and uses several open source libraries to visualize TCP/IP diagram completely just from information that it can retrieve itself by SNMP protocol. Currently, this software is in it’s early alpha stage and I do not want to post more from it that a one picture. In hope that the next part of this series will follow shortly and I can say more about this piece of software.